MCI > OMA: DESIGNER Ann Willoughby is a leading voice in design in the U.S. She has taught, written and lectured about the importance of women as design leaders in both business and as a social force. Ann began her design career in 1968 during the second wave of feminism and her life and early design practice were fueled by the social, political and design movements that transformed American during the last decades of the 20th century. Since its founding in 1978, Willoughby has become nationally known for its award winning design and for its unique creative environment. The firm has worked with local, national and international clients including the Kauffman Foundation, Omidyar Group, United Nations, Hallmark Cards, Panera Bread, RideKC Transit, Hershey’s and Cerner. In 2014, Ann was awarded the prestigious AIGA Medal, one of the first women in the midwest to receive this honor, awarded to individuals in recognition of their exceptional achievements in the field of design and visual communication. 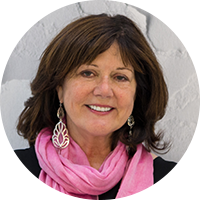 Ann currently serves on the AIGA national board of directors and is Ambassador to the AIGA archives. Willoughby has offices in Kansas City and San Francisco as well as the Willoughby Design Barn, a 100 acre creative retreat in Weston, Missouri.